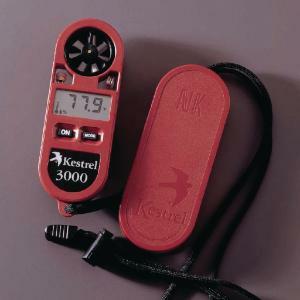 This pocket sized instrument contains modes to measure wind speed, temperature, wind chill, relative humidity, heat index, and dew point temperature. This unit also contains an external thermistor for fast temperature response. A hard, slip-on case protects the display, buttons, and impeller from damage.